The Merchandise Management process involves quite a cross-functional process in an automated environment given the level of retail automation today. 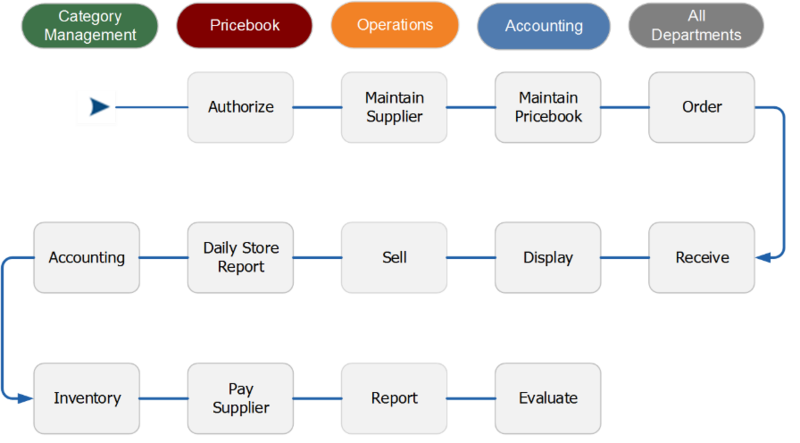 This includes planning, analysis, management, and controls for items through the retail cycle and touching many aspects of the supply chain. Impact 21 helps its clients cultivate partnerships between retailers, manufacturers, wholesalers, and distributors to drive improved corporate and store level processes, reduced cost and grow profitability. These tools ensure retailer success and improve and your company’s business effectiveness. Following the 13 steps will strengthen your operation at multiple levels, streamline processes between supply chain partners and internal business departments, and deliver gains through automatic replenishment. Understanding and following these progressive steps will help you manage each process effectively.